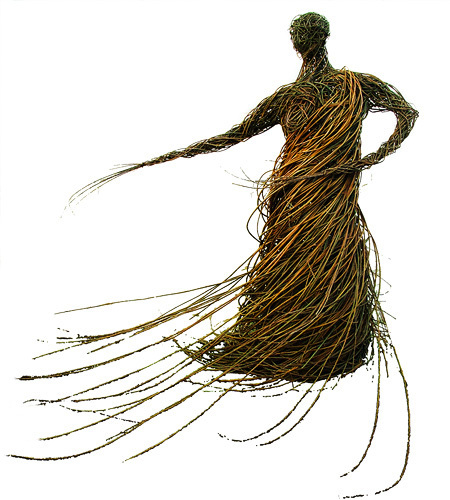 Trevor Leat is one of the foremost creators of willow sculptures in the UK. Using traditional techniques combining beauty with functionality, Trevor Leat has been weaving willow to great effect for over 30 years. Although he creates baskets, garden furniture and even willow coffins, it is for his willow sculpture he is best known. From lifesize animals and figures, through to giant willow sculptures spectacularly burned at festivals and events such as The Wickerman Festival, The Edinburgh Hogmanay Celebrations and The Burns Light Festival in Dumfries. Based in coastal Galloway, Southern Scotland, his work is exhibited widely in galleries, and seen by tens of thousands at festivals and events around the UK and beyond.